What Does It Mean To Be Old? Products Geared Toward Older People Are Hit-Or-Miss A new book called The Longevity Economy argues businesses are failing to design things that older consumers want to buy because they're relying on outmoded ideas about what it means to be old. When people create products designed with older folks in mind, the same mistake is made over and over again. Businesses tend to jump to conclusions regarding products older people may need, that is: equating age with disability. As Joseph Coughlin, founder of the AgeLab at MIT, puts it in his new book, The Longevity Economy, businesses are more focused on helping older adults "stay alive" rather than "live their lives." According to Kaufman, companies are relying on an incorrect story about who older consumers are. "It's a narrative that says we're old, we're frail and by the way, we don't like anything new. And as a result we don't make things that excite and delight," Kaufman says. The older population is growing and has a strong spending power. One in five people in the United States will be 65 years or older by the year 2030. In 2015, people over 50 years-old spent $750 billion more than those under 50. With flawed design and marketing tactics, some businesses have missed the mark attempting to appeal to our older population. Basically, baby food for older folks. It was geared for people with tight budgets and bad teeth. According to Kaufman, it looked gross and tasted gross. Plus, at the checkout line, it announced to everyone you were old, broke and had bad teeth. Unsurprisingly, no one really wanted to buy the product. 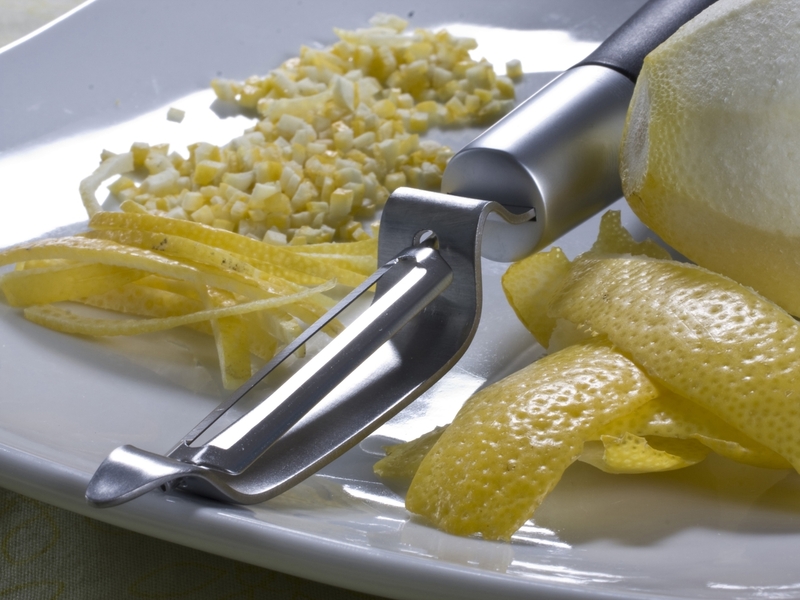 Manufacturer OXO Good Grips designed a peeler and various other kitchen tools for people with arthritis. It turns out, however, that these products are comfortable and appealing for many people, even if they do not have arthritis. As Kaufman says, a tablet computer is a great device because it can be personalized. Although the older generation may not be a tablet's target audience, it has still been successful with this population. "Without my glasses, I can't see my hand, let alone the text in front of me," Kaufman says. "But the tablet that I use allows me to use my fingers and to jack up that font so that I can see it. It is not a device that yells: 'Old man who can't see.' It is a device that is so profoundly personalized, that it allows me to use it at any age." Two cousins developed this device for a champagne-loving neighbor, whose arthritis was preventing her from getting the cork out and enjoying her favorite beverage. They developed a device that was a curvy wrench with a long handle. Some people, like NPR's very own Ina Jaffe, have never been able to open a champagne bottle. Jaffe says she is "looking forward, for the first time, to drinking some bubbly on New Year's that I have opened myself."